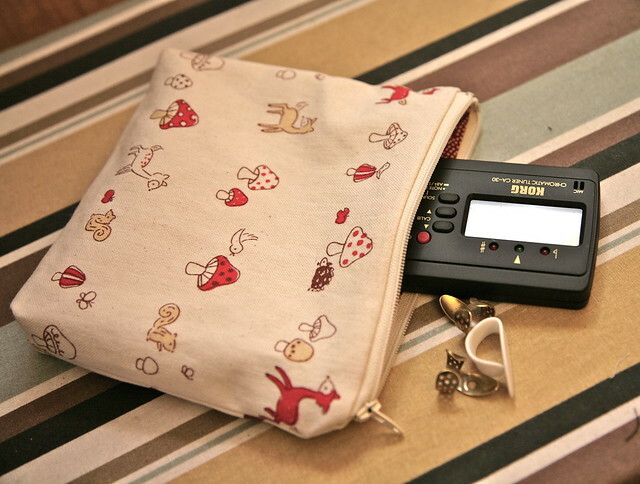 Inder Loves Folk Art: Banjo pouch. I made this little zip pouch for myself last week to hold my banjo finger picks, tuner, and capo (er, when I get a capo). I just used scraps from my stash and the shortest zipper I had (seven inches). The outside fabric is a Japanese print I've had for a while. 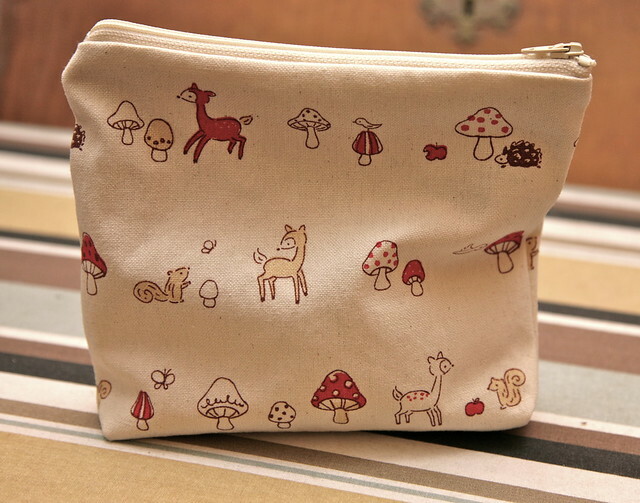 The lining is a deep read calico with dragonflies that I have had for time immemorial. 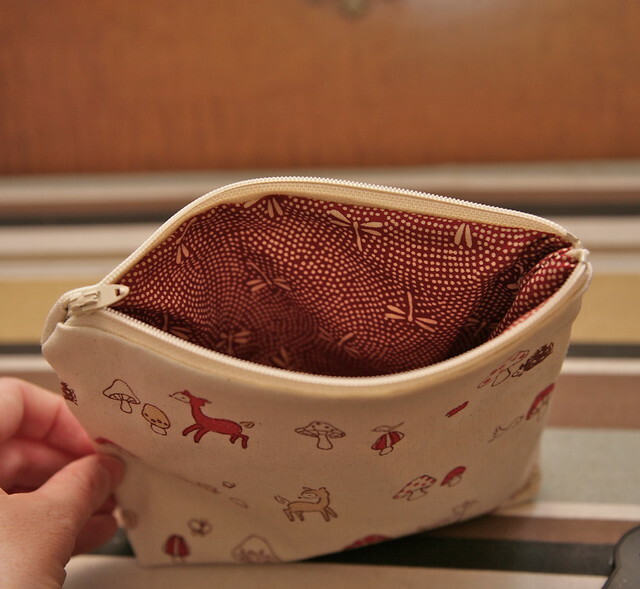 Making the pouch was really easy, once I figured out the mechanics of sewing the lining. I mean, it has some imperfections, but considering this was my first try, not too bad. It was definitely a good way to get back into sewing after several weeks of negative sewing mojo. Near-instant gratification. One tip: Before you sew the whole thing together, open the zipper partway. I learned this lesson the hard way and some seam-ripping was involved. I used this tutorial, but there are a million of them on the 'nets, and I'm sure a lot of them are great. This pattern has a slightly flattened bottom, which is nice, because it stands upright. Sort of. Turns out I should have flattened the bottom of mine a bit more (I wasn't following the directions that closely, so they are probably right). Live and learn. It does what it was intended to do, and keeps my finger picks safe and snug! You rock! I'm so scared of zippers. I keep thinking, it can't be too hard...and then I decide to use a button instead. Inspiration? Perhaps one of these days. PS Lovely fabric by the way. I still struggle with inserting zippers into garments, I won't lie. For that I'd say, BASTE. But this project was way easier than that. It would be a great project for someone who has never inserted a zipper before, because it doesn't have to be perfect.